The program will run for two weeks from Wednesday, January 2, 2019 through Saturday, January 12, 2019. Residents may drop off their trees for recycling starting Wednesday, January 2nd at any of the following Streets Department Sanitation Convenience Centers Monday through Saturday from 8:00 am to 6:00 pm. :Christmas trees present a significant seasonal addition to our City's waste stream. By recycling your tree and returning it to the earth, you can help reduce the number of discarded trees that end up in landfills. Click here for locations, updated information and more details. Saturday drop-off locations: The Streets Department is pleased to announce there will also be Christmas tree drop off sites located throughout the city at 23 designated locations only on Saturday, January 5 and Saturday, January 12 from 9am to 3pm. To find the location nearest to you, CLICK HERE. Remember, there will be no curbside collection of Christmas trees for recycling purposes. Trees left at the curb will be treated as trash, which means they will not be recycled. Allentown, PA - Christmas Trees and yard waste are collected by the Bureaus of Streets and Recycling & Solid Waste on the weeks of January 6th and 20h, 2019 on your recycling night. NO plastic bags, decorations or tree stands. Take trees and other yard waste to the Main Yard Waste Site. Click here or call the Hotline 610-437-8729 for schedule. Berks Leisure Area, 1901 Tulpehocken Road, Wyomissing, PA 19601. Click here for a list of local municipalities drop off locations . City of Reading City Park - 11th & Washington Reading Pa 610-655-6236. Exeter Twp. Trout Run Exeter Pa 19606 610-779-5950. Kutztown Borough Railroad St. Kutztown Pa 19530 610-683-6131. Muhlenberg Township 61 & Reading Crest Blvd. Reading Pa 19605 610-929-4727. South Heidelberg Township Point Rd. Wernersville Pa 610-678-9652. 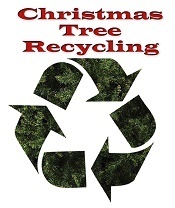 Doylestown, PA - Christmas Tree Recycling Announcements will be made each year when residents may drop off their Christmas trees (free of all ornaments, garland tinsel and nails) at the Borough Public Works yard for shredding and recycling. Trees may be dropped off until mid January (see the Doylestown website for exact date) and the location is open 24 hours per day 7 days per week.The Borough is now accepting resident's cut Christmas trees at the designated drop-off location at the Public Works Facility, 300 Harvey Avenue. The cut trees should be free from tinsel, plastic, or ornaments before being placed in the bin, which is located outside the gate of Public Works at the northern terminus of Harvey Avenue. Reading City Park - Drop off your Christmas trees, stripped of decorations at 11th & Washington Reading Pa. For more information, call 610-655-6236. Exeter Twp. 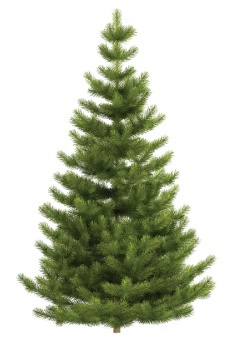 - Drop off your Christmas trees, stripped of decorations at Trout Run Exeter Pa 19606. For more information, call 610-779-5950. Kutztown Borough - Drop off your Christmas trees, stripped of decorations at Railroad St. Kutztown Pa 19530. For more information, call 610-683-6131. Lower Merion, PA - The Township will begin the collection of trees (which must be placed curbside) during the first two weeks in January on the regular refuse collection day. Because the first week of January is a holiday collection week due to the observance of New Years Day, tree collection will be the same as the holiday collection day. Residents may also dispose of Christmas trees at the Public Works Complex located at 1300 N Woodbine Avenue in Penn Valley. All ornaments, stands and other decorations must be removed. If you need additional information, please contact: Public Works Department Office, Township of Lower Merion, 610-645-6150. Muhlenberg Township - Drop off your Christmas trees, stripped of decorations at 61 & Reading Crest Blvd. Reading Pa 19605. For more information, call 610-929-4727. Red Hill, PA - CHRISTMAS TREES RED HILL RESIDENTS ONLY (you may be asked to show proof of residency) May bring Christmas Trees to the borough from December 26th thru January 21s). Area to leave trees is marked and is located next to the mulch pile. Other dumping will be subject to $1,000 fine. The Borough maintains an area adjacent to the Borough Maintenance Building where Christmas trees can be dumped during certain days in January. These dates will be posted in December on the Borough home page. Souderton, PA - Christmas Tree Curb Collection/ S.A.V.E Christmas Tree Recycling Event. The Borough will collect Christmas Trees curbside during the first week of January, starting on the 2nd of January. Pick ups will end on January 31. Kindly remove all decorations and place the tree out front of the property for pickup.Christmas tree. South Heidelberg Township - Drop off your Christmas trees, stripped of decorations at Point Rd. Wernersville Pa. For more information, call 610-678-9652. 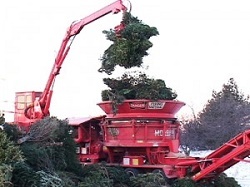 West Chester, PA - Christmas tree collection occurs the first 2 weeks following New Year's Day. Please remove all lights and decorations from your tree and place it out at your trash & recycling collection point. Trees placed out in plastic bags will not be collected.